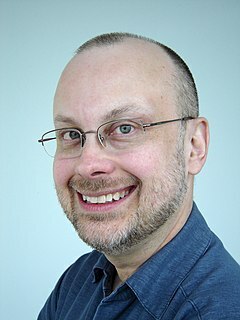 Robert J. Sawyer is a brilliant, and Canadian, Science Fiction writer who has touched on topic like divergent evolution, world wide premonitions, and science versus religion but in his latest book he looks at the idea of the internet developing sentience. Now first thing you need to know is this is not Terminator. The robots under the command of the world wide web doesn’t launch an army and doesn’t start killing people. What we have is a Hellen Keller story about teaching an entity that is blind and deaf how to read, write and exist in a world that cannot see or touch him. The book is called Wake, the first volume in the WWW Trilogy, and the story centers around a blind fifteen year old girl who is a math genius. She undergoes a un-tested new procedure (don’t they all) to regain her site. Dr. Kuroda believes that her blindness is caused by her retinas miscoding the visual information and offers to install a signal processing device behind her left eyeball, which he believes will unscramble the data and give her sight in that eye. The device sends the visual data to a miniature computer which reprocesses the signals and send them back to the implant in her eye. The correct visual data is then passed on to her optic nerve, theoretically granting her sight. Yeah I didn’t fully understand that all either. However instead of seeing the real world she begins to see the internet but so does something else. This begins the spontaneous emergence of an intelligence on the World Wide Web, called Webmind. The book has several subplots, including a deadly disease outbreak in China and its cover-up, and a chimpanzee–bonobo hybrid, Hobo, whose has a web call with an orangutan. The book is brilliantly written, and while I was expecting an Arnie attack or a King monster when I first picked up the book what I got was unexpected but pleasant. The book also touches on some highly personal issues like being raised by an autistic parent, how to describe or explain sights we all take for granted, (Think about try to describe the sun to someone whose never seen fire or light) and the difficulties that any handicap bring while trying to go through high school. It is a great read that shouldn’t be missed by anyone who is a Science Fiction fan, a RJS fan or someone looking for a AI story that doesn’t devolve into the Terminator or The Matrix. 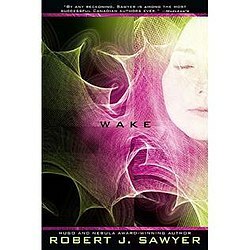 This entry was posted in Books, Tome of Geek and tagged Flashforward, hominids, Robert j saqyer, wake, watch, WWW Trilogy. Bookmark the permalink.